The city of Sapporo sits in the midst of the great northern island of Hokkaido. Holding the dubious honour of being one of the world’s snowiest cities, this is a modern, vibrant and exciting place that celebrates the annual plethora of white stuff. Join Japan Centre, as we cast our eye over splendid Sapporo. Sapporo is a young whippersnapper when it comes to cities in Japan. The indigenous folk of Hokkaido known as the Ainu had settlements in the area, but it wasn’t until 1868 that the Meiji government decided to build the administrative capital in this region. They drafted in help from the American government in the city’s development which led to the easily navigable, grid like layout we find today, along with Western style buildings. Over the course of the century, Sapporo saw a continuous influx of citizens and is now by far the largest city in Hokkaido and the fourth largest in Japan, with a population of nearly 2 million. Sapporo came to the attention of the whole world when it became the first nation in Asia to host the winter Olympics. It seems that Olympic spirit proved addictive, with Tokyo set to host the Olympics in 2020 and Sapporo bidding once more for the winter games in 2026! Now on to the next big question. What is Sapporo known for? The snow festival of course! To many, the name Sapporo is synonymous with heavy snowfall. Siberian winds skirt across the sea and unleash an abundance of snow every winter, with February receiving as much as 150 cm of the white stuff. Whilst arguably very scenic, the sheer amounts of snowfall and freezing conditions can be quite a weight on the citizens of Sapporo. It’s not uncommon to witness pedestrians ensnared in layers of coats toppling over like vision impaired penguins, particularly after a few draughts of the city’s favourite bevvy. Bicycles are out of action for months, and the city has a warren of underground shopping arcades where folk can shop, dine and travel without ever having to poke their faces out into the icy chill. However, when February rolls around the city embraces its plethora of powder and celebrates for the yukimatsuri snow festival. Even Totoro makes an appearance! Japanese military poked their beaks in and made even bigger ones. 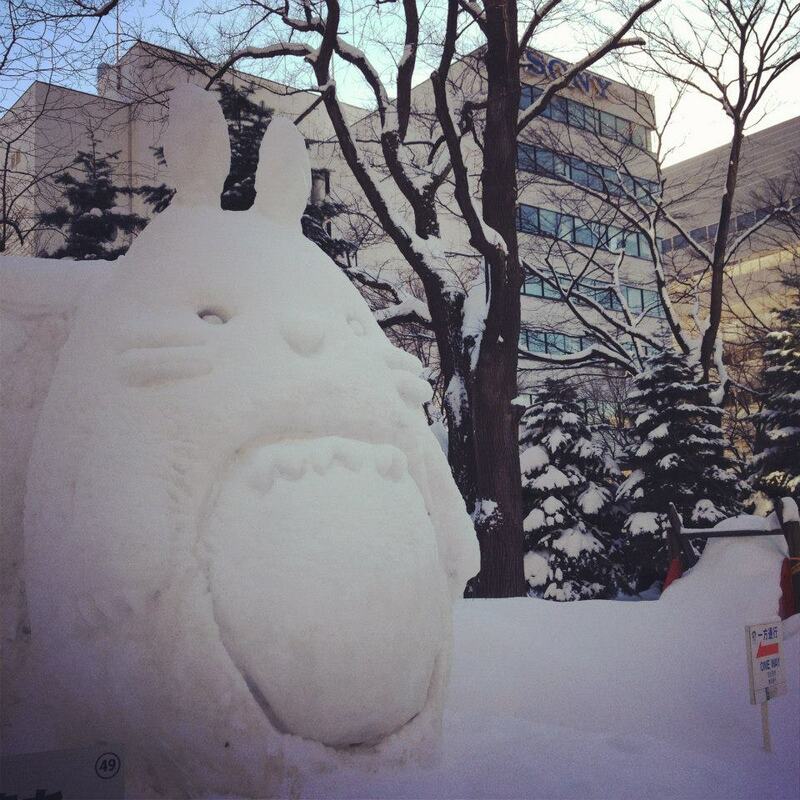 The snow fest has burgeoned ever since to become one of the biggest events on Japan’s tourist calendar, with around 2 million tourists flocking to the city each year. The sculptures themselves are nothing short of awe inspiring, with intricate statues of classic Japanese and international characters and even a gigantic snow palace. Held in Odori park, the entire area becomes a hubbub of activity, with performances from J pop favourites and rows of street food stalls selling both international and homegrown cuisine. 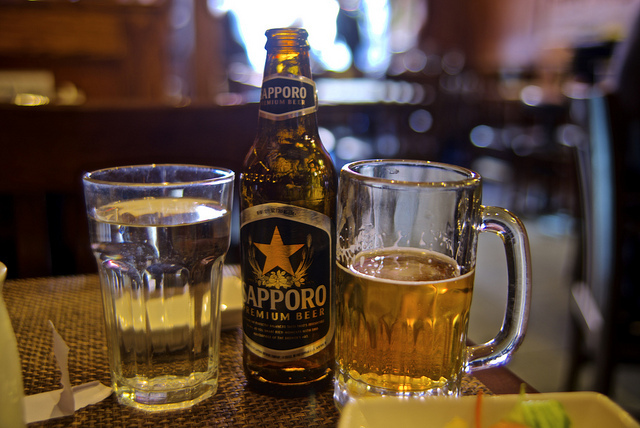 Sapporo is the birthplace for Japan’s first proper beer, named after the city from whence it came. The Sapporo brewery was founded in 1876 and has since grown to be a giant in the beer world, with Sapporo premium holding the accolade of being the best selling Asian beer in the U.S.A. This light beer has superb flavour, particularly when served ice cold, and it’s available right here at Japan Centre! 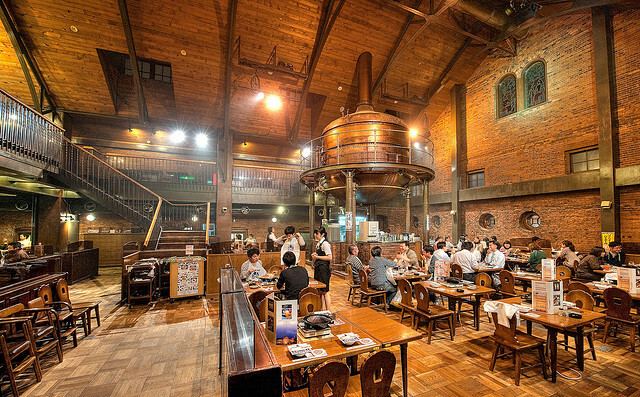 Nowadays, visiting the Sapporo brewery is a popular activity for tourists. Associated with the brewery and legendary throughout Japan is the eating experience at the Sapporo Beer Garden. This enormous beer hall feels more like something from Bavaria than Japan, and with “Genghis Khan’s” all you can eat lamb to cook on your own grill, as well as all you can drink Sapporo beer, a night of revelry is almost certain to ensue. Sapporo is also a great eating city. A lightly spiced dish known as soup curry is a favourite way for locals to beat winter’s icy chill. 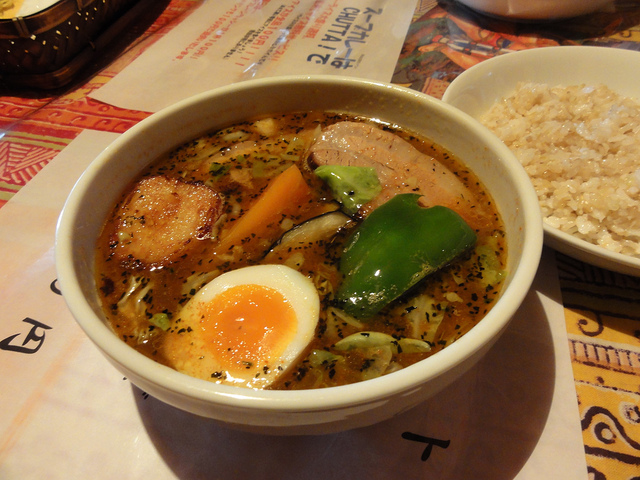 So to is miso ramen, Sapporo’s flavoursome take on the classic noodle dish. Beyond Sapporo? Hokkaido is a natural wonderland that has to be seen to be believed. If you’re keen on snow sports, Hokkaido has some of the world’s best skiing and snowboarding, with nearby Niseko being a stand out example. Believe it or not, Sapporo does experience summer! In fact, its cooler climate and long evenings make the summers here more pleasurable than the stifling humidity felt further south. Summer in Sapporo is a time to chill out in beer gardens, eat mouthwatering fresh sushi and crab and enjoy festivals like the Yosakoi dance festival, as seen below. All in all, Sapporo is easily navigable, cosmopolitan city that has pleasant summers, epically snowy winters and fantastic food and beer. We’d recommend it to a traveller in a heartbeat. Fancy trying the famous beer from the beating heart of Hokkaido? Check out our selection of Sapporo beer at Japan Centre. 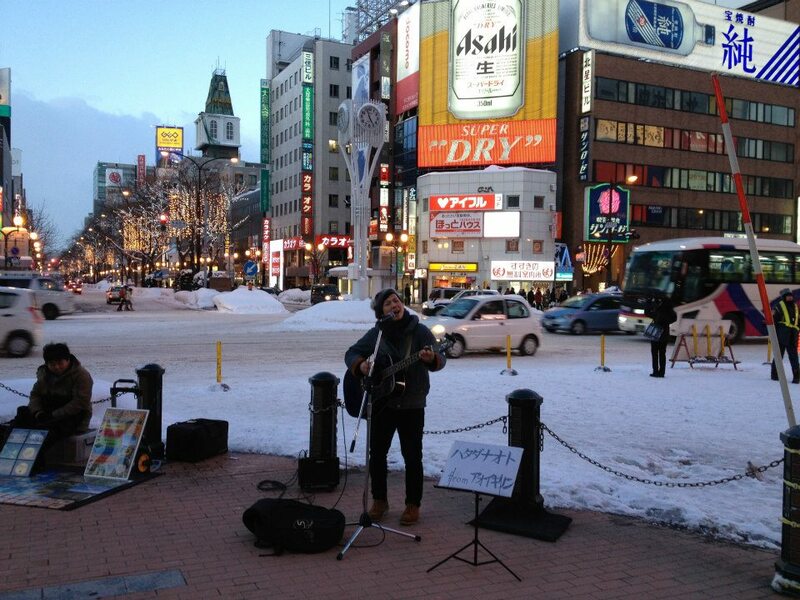 Been to Sapporo? Share your expertise with us. Blog. Facebook. Twitter. 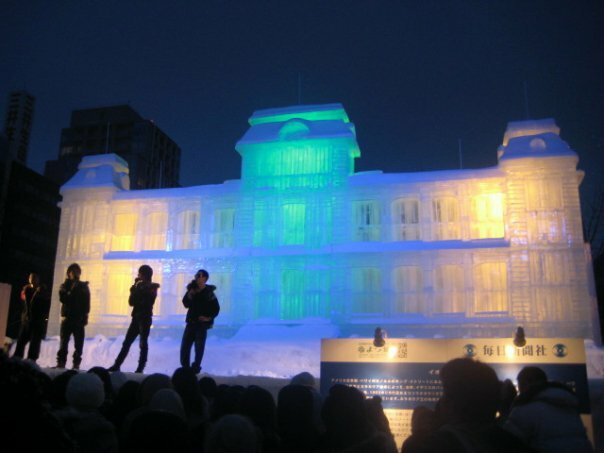 Posted in Travel and tagged explore Japan, japan, Sapporo snow festival, spotlight, travel Japan. Bookmark the permalink.